Apple is showing off a video full of details on the long-anticipated Apple Watch, and it sounds like the company is bringing wireless charging to one of its mobile products for the first time. 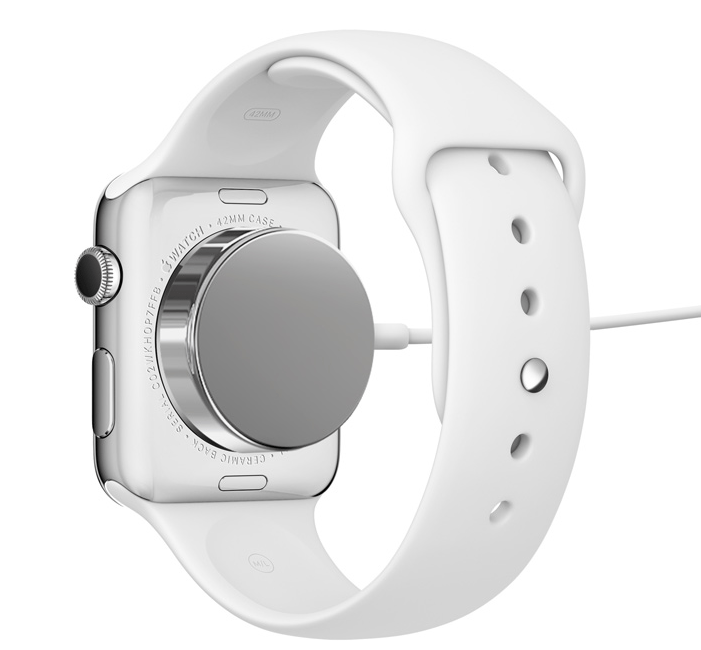 The Apple Watch will use a MagSafe-style wireless charger — it’s inductive and magnetically snaps right on to the back of the Watch. It appears to work pretty much like any other wireless charger out there, but it’s still a nice feature to include on a device that you’ll probably need to charge every day. Unfortunately considering Apple’s history it probably won’t be using the Qi standard, although nothing has been said yet. Apple hasn’t mentioned battery life for its Watch just yet, but with a bright and colorful screen like Apple is showing off, it’ll likely need to charged on the regular.